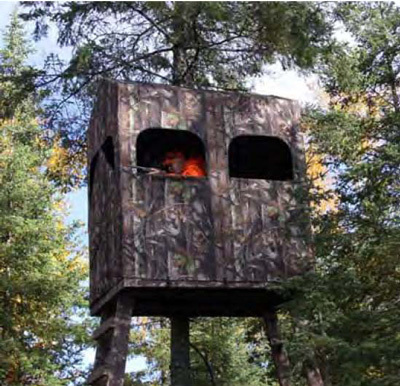 SmithWorks Outdoors is proud to present the 4x4 and 4x6 ComfortQuest Hunting Blinds, Accessories for the ComfortQuest Blinds and the very popular ComfortQuest Sport Chair. 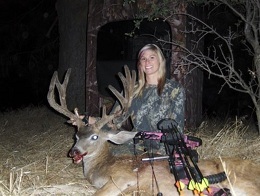 Our goal is to provide you with a truly comfortable and affordable environment, while you await the heart-pounding moment of your hunting adventure. 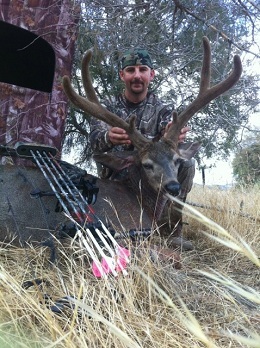 What’s New at SmithWorks Outdoors? 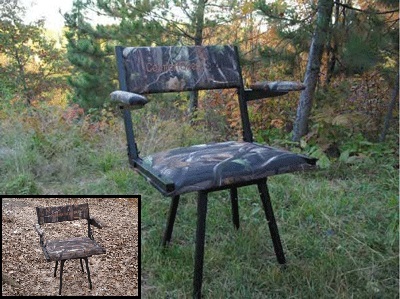 Due to many requests from our customers, SmithWorks Outdoors is pleased to announce our new product, the ComfortQuest “Big Boy” Chair. The ComfortQuest “Big Boy” has the same great features as the ComfortQuest Sport Chair, the World’s First Comfortable, Packable, Folding Swivel Arm Chair with adjustable legs, carry bag and turf feet. 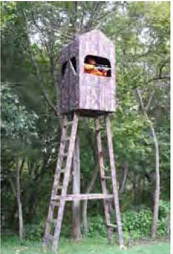 The “Big Boy’s” added features include an extra large 18” x 24” seat, heavy duty reinforced aluminum frame, and extended weight capacity to 450 lbs. 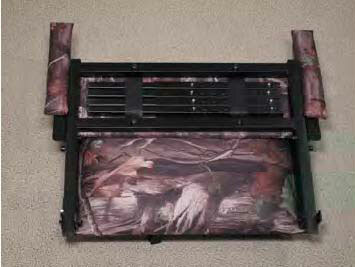 The ComfortQuest Hunting Blinds can be mounted on any 4'x4' or 4'x6' platform you may already have at your hunting site. 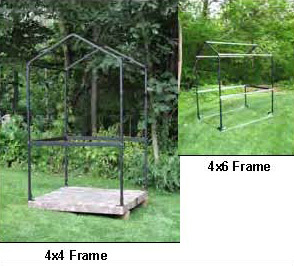 CAD drawings and instructions are available in Customer Service on this web site for you to build your own platform and stand. 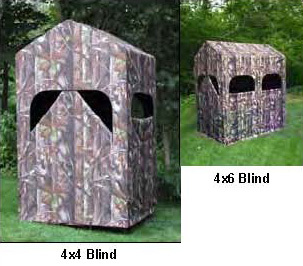 Using a SmithWorks Ground Blind Frame Kit, the ComfortQuest Blinds can also be used as a ground blind. What's Included in a ComfortQuest Blind Package? The ComfortQuest SPORT and "Big Boy" Chairs! 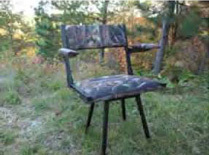 It’s no longer necessary to lug your old office chair to the woods, rather take a light weight ComfortQuest SPORT or “Big Boy” Chair(Click to see video). 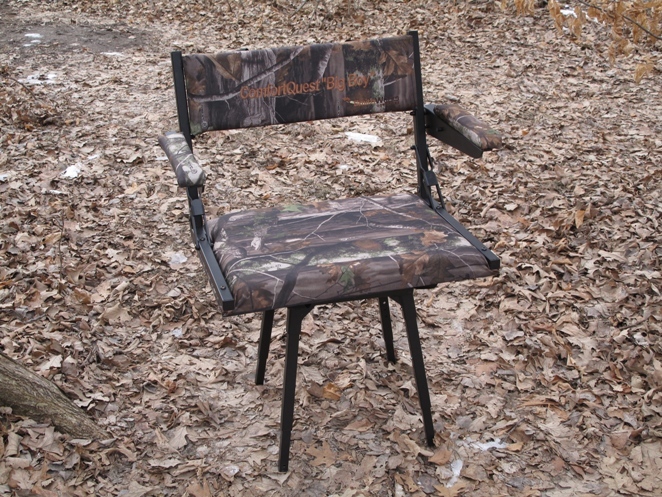 The ComfortQuest Chairs have an aluminum frame with black powder coated finish. 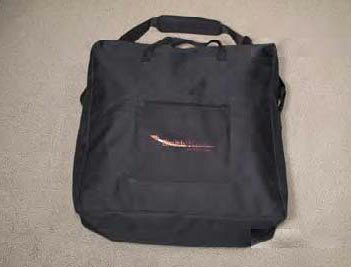 The padded seat, back and arms are covered in 600D water resistant coated polyester fabric. 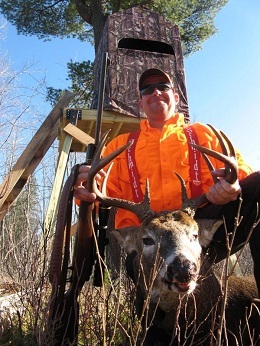 The seat sizes are large and comfortable so they accommodate a hunter with heavy hunting clothing. 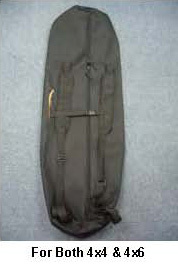 The chair legs are adjustable from 13 to 18 inches to allow a seat height of 18 to 23 inches. The ComfortQuest Chairs fold to a compact size and stow in a carry bag with a shoulder strap for easy transport. 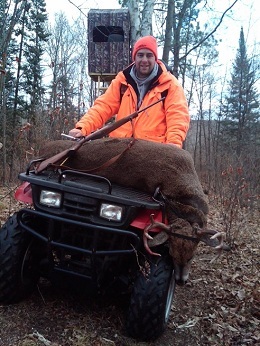 The ComfortQuest SPORT Chair weighs 16 lbs and accommodates hunters up to 300 lbs, while the ComfortQuest “Big Boy” Chair weighs 19.5 lbs and accommodates hunters up to 450 lbs. 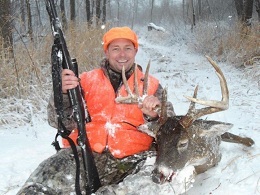 What Can you Expect from SmithWorks Outdoors' Products? Comfort, High Quality, Flexible, Easy to Use and Affordable! 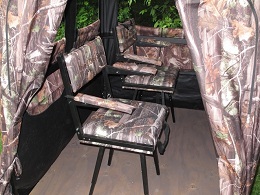 The ComfortQuest Hunting Blinds and ComfortQuest SPORT Chair deliver them all! Now all you have to do is "Enjoy Your Sport"! 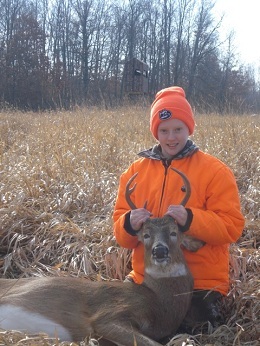 Copyright © 2019 SmithWorks Outdoors - All Rights Reserved. Please read our Shipping Policy and Return Policy.